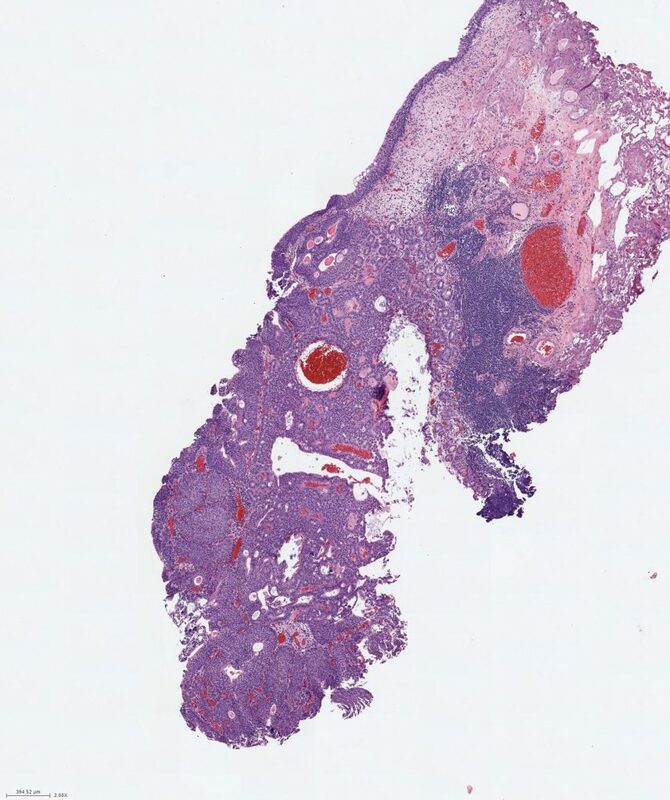 A 36 year old male presented with hematuria and was noted to have a 4 mm lesion at cystoscopy. Histology: Immediately below the urothelium are nests of urothelium are nests of bland urothelium with central lumen formation, some with apical cytoplasm. 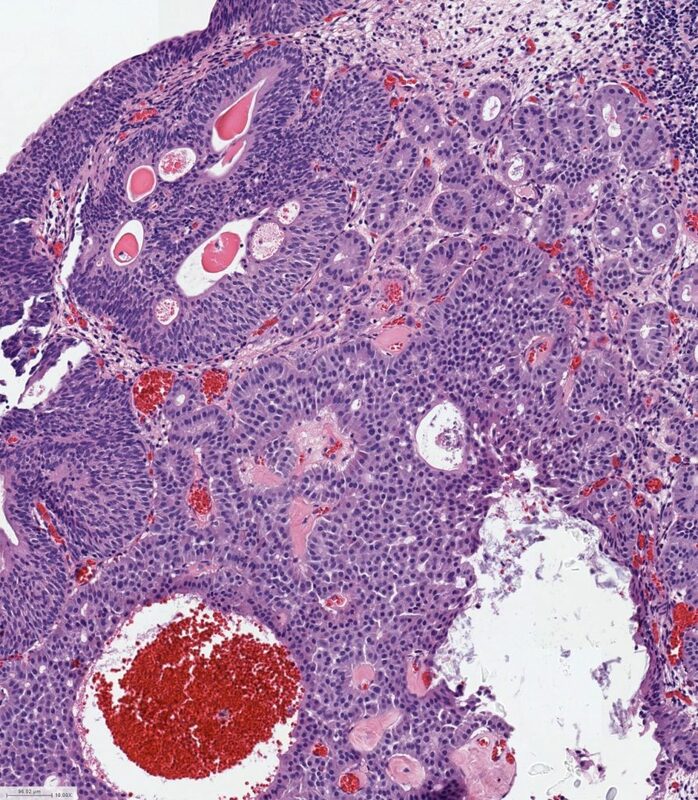 Beneath these nests are cribriform structures and tubules lined by uniform cells with eosinophilic cytoplasm and nuclei with delicate chromatin without atypia or mitoses. 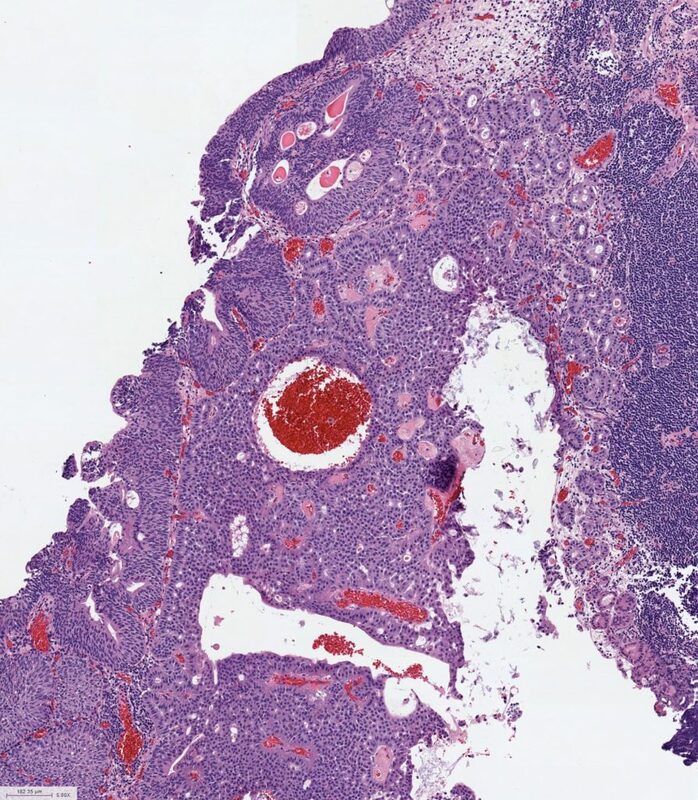 Discussion: This case shows the typical appearance of a carcinoid of the bladder. They are usually small lesions that are benign and not infiltrative. As in this case, a prominent component is tubular formation. In contrast to true glands, the cells in the tubules are not lining the base of the cells with apical cytoplasm but rather are in the mid portion of the cells. Carcinoids of the bladder are frequently associated with proliferation of cystitis cystica et glandularis, present in this case also. Nephrogenic adenomas lack cribriform formation and their tubules are more atrophic than seen in this case. Rarely, carcinoid tumors of the bladder can be larger invasive tumors with the more classic appearance composed of ribbons and festoons. 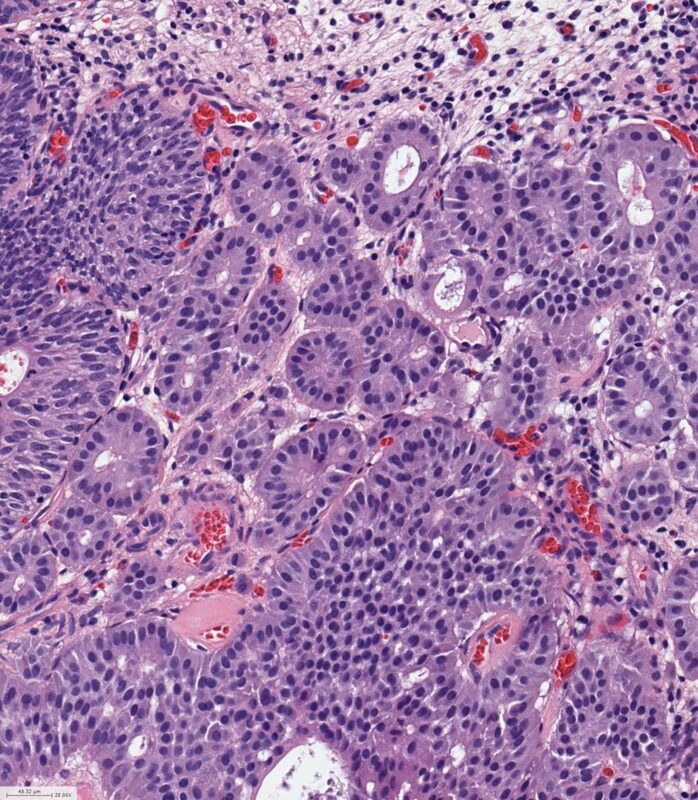 Primary carcinoid tumors of the urinary bladder and prostatic urethra: a clinicopathologic study of 6 cases. Chen YB, Epstein JI. Am J Surg Pathol. 2011 Mar;35(3):442-6.